You guys didn’t really think I’d let the Recruitniks have all the fun today did you? So hey I had to recharge the batteries for a couple of days after doing so many of these, but now i’m back at it. 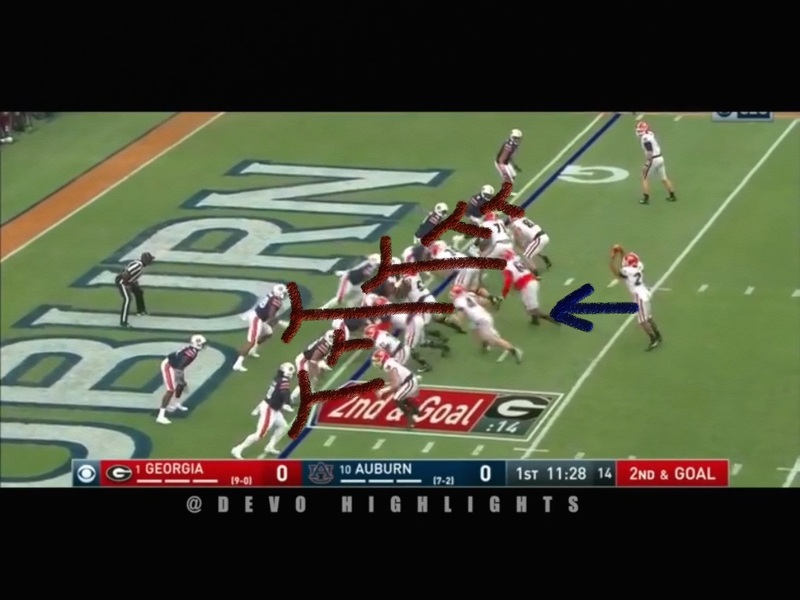 I’ll be breaking down both of the UGA v. Auburn games over the next few days leading up to the Rose Bowl. You all know what a believer I am into scheming to numbers, and here, left of center there are 6 players in the box vs only 3 to the right. You know where I’d run it. 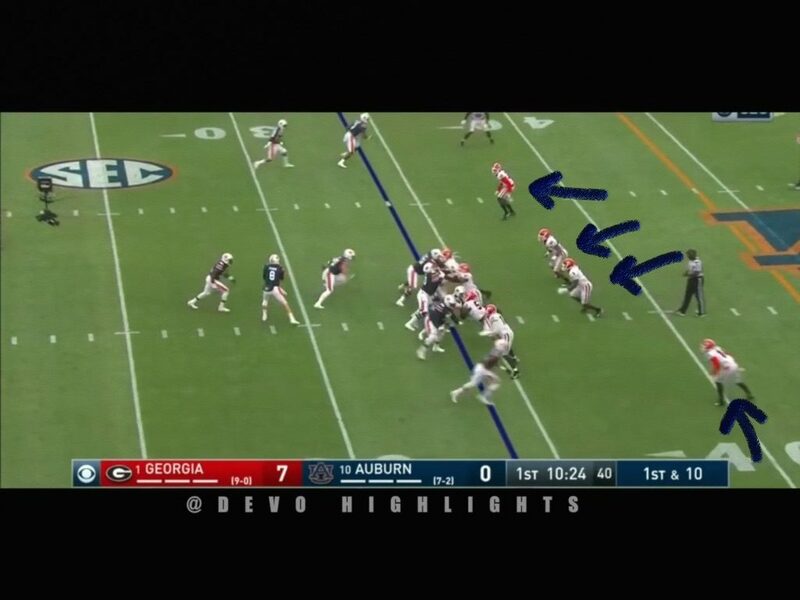 The Dawgs go to the right, but Sony Michel doesn’t see the hole and runs up into the back of his offensive lineman. Granted, the hole opened right as he got there, but if you look closely he has his head down. It’s a small thing but I’ll be looking to check out what I think of his vision as we go along. 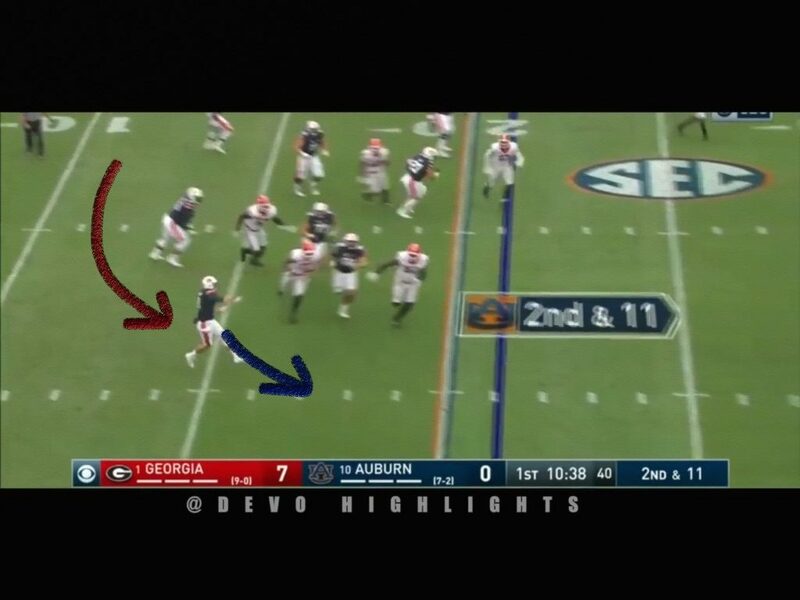 I couldn’t tell you what Auburn is trying to do here defensively. Eerbody is lined up to the offense’s right, and again, if I’m running the O, here we’re going off tackle left or pulling that h back over on a wham block to the left to take advantage of numbers. 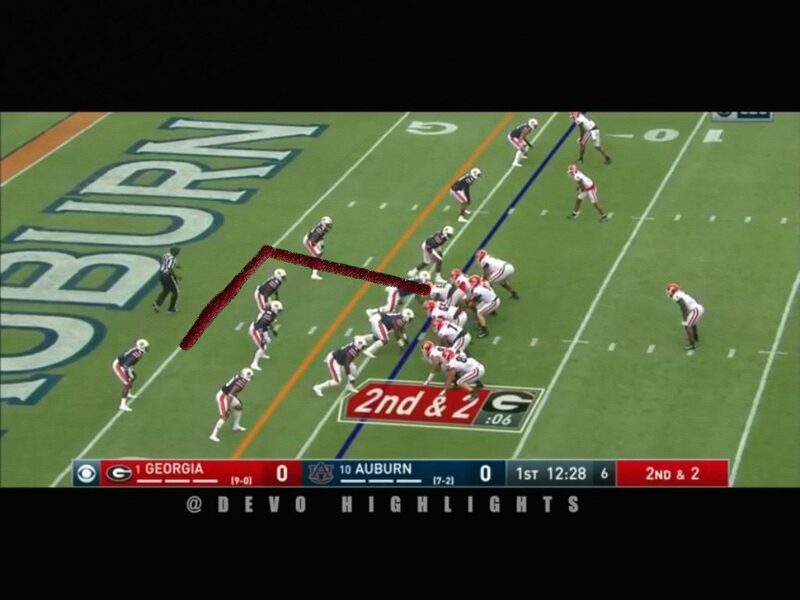 But Georgia goes right up the middle. Not sure why you’d run right into the teeth of the d like this, but I’d think had they gone left they could have sealed it off and scored. In comes Nick Chubb to run the Wildcat. I expect the Sooners to see a lot of Wildcat given their inability to stop K-State’s running game and the success West Virginia had with it. The two lead blockers are looking to get up to the linebackers, and again, there’s numbers to the right. Georgia scored here, but they went in the A gap left where the unblocked defender at the bottom left of the B, can get involved. 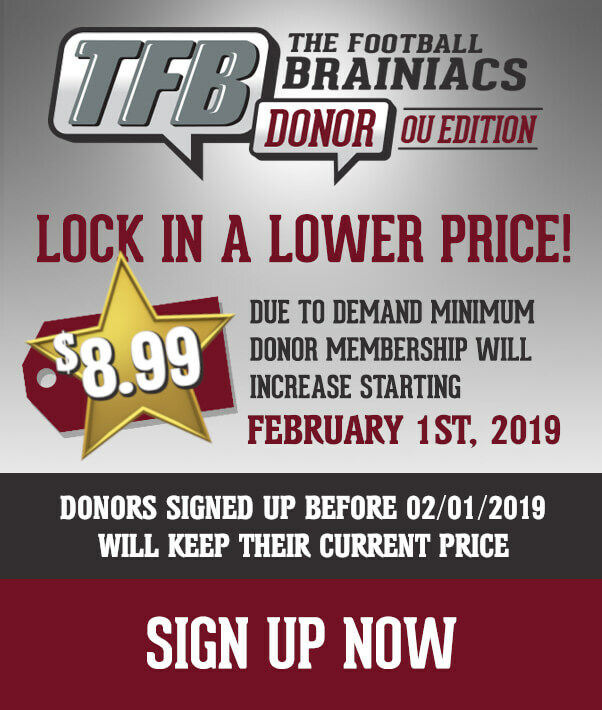 Looking early, they don’t really scheme to numbers. 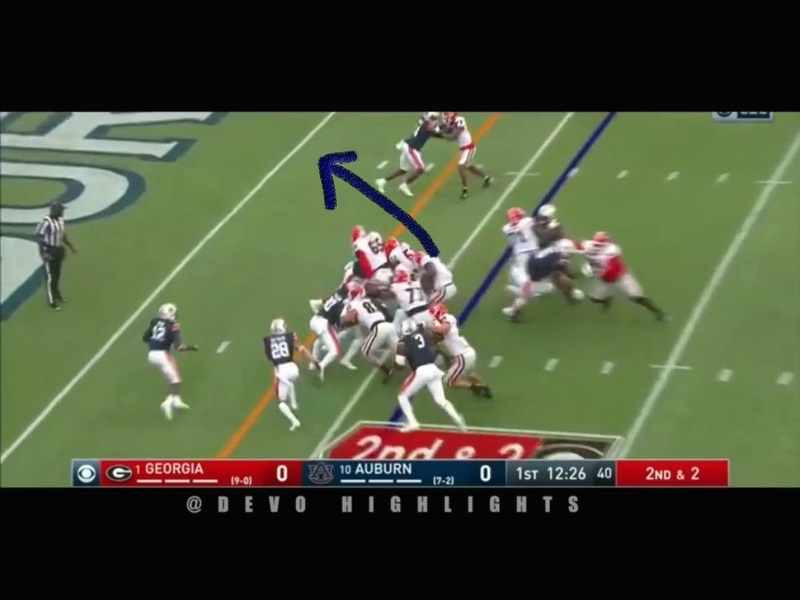 Here’s Roquan Smith in a footrace out to the edge with the Auburn receiver. He meets the Tiger runner and drops him for no gain. 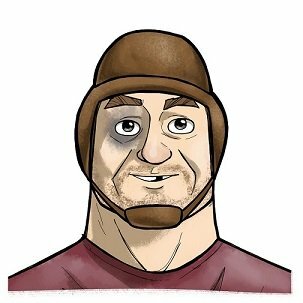 I’d expect Riley to use a lot of decoy stuff to try to take him out of plays as much as possible, because he’s a really good player. Keeping him away from the ball is something you want to do. 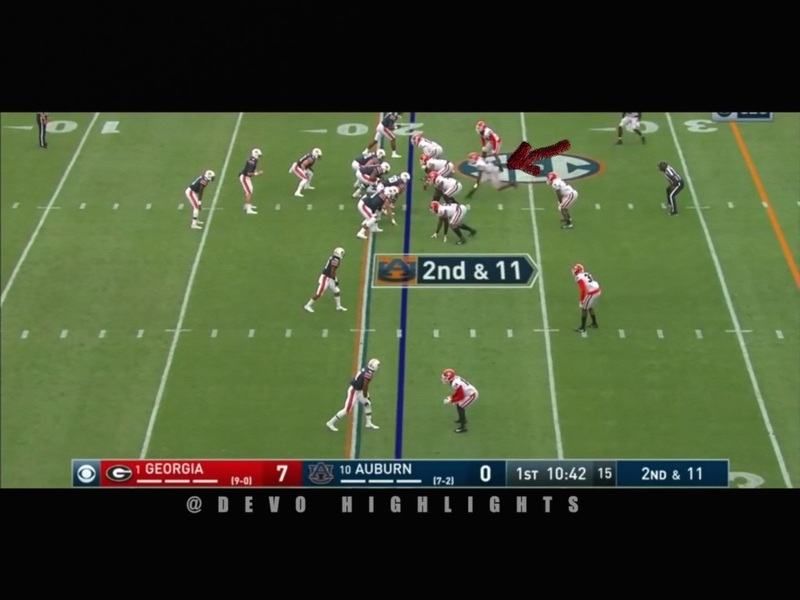 Georgia tips their hand on blitzes a lot, so pre-snap, the Sooners will need to recognize what the defense is doing and adjust blocking schemes. 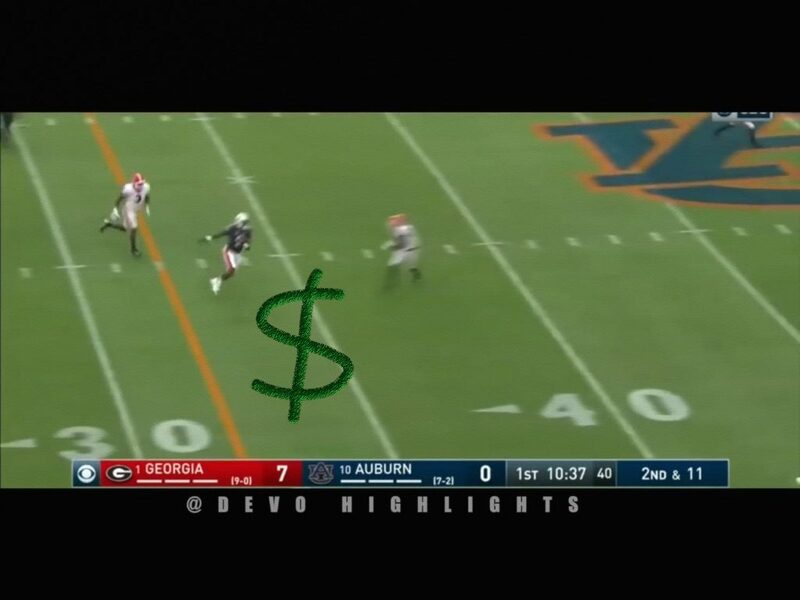 This is a bootleg to the right with Stidham. He has the option to run or throw, and he could have kept it if he wanted to. I’d expect Mayfield to look to have a lot of bootleg stuff and moving the pocket for him since he’s really good outside the pocket. 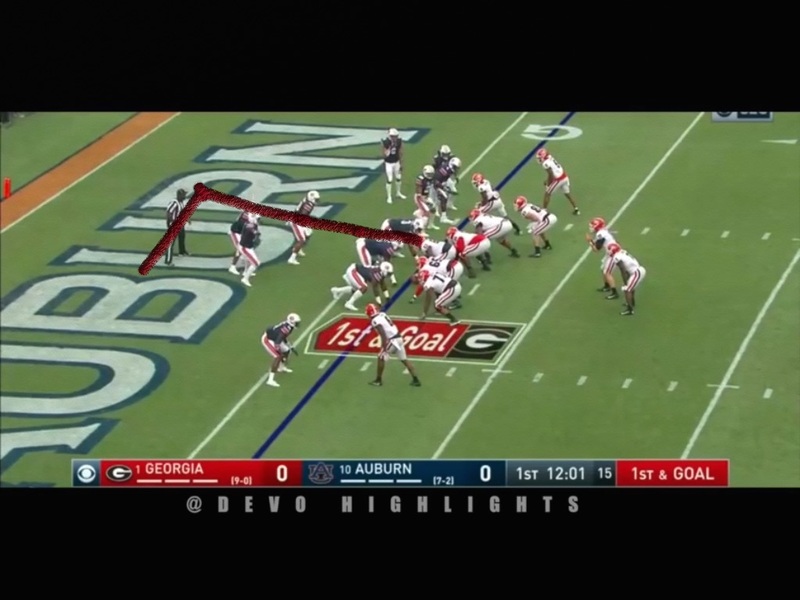 Looking at what Georgia is asking Smith to do is a mismatch. They have their middle linebacker covering a receiver much like Venables used to have the Sooners do. I remember the 2010 or 11 game at Mizzou where they wore our linebackers out because the guys couldn’t cover their receivers. 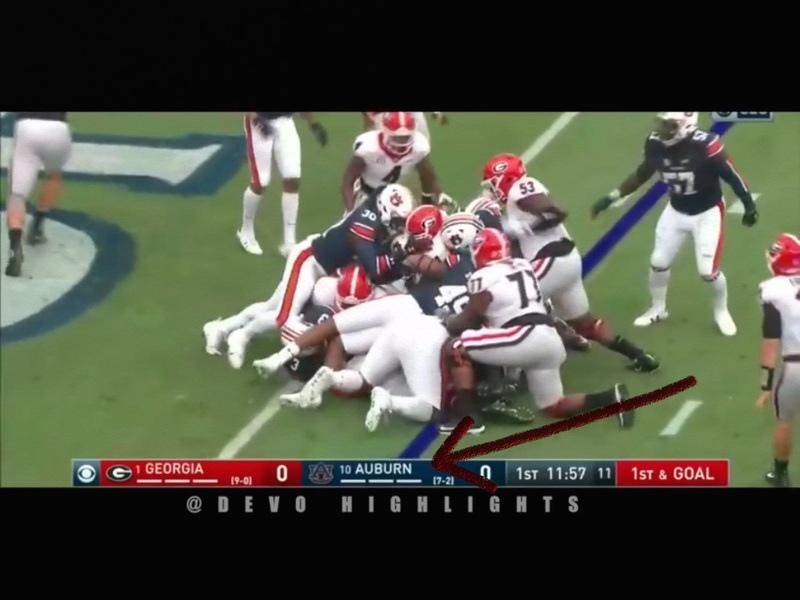 If they ask Roquan to cover Badet, Lamb or Brown on crossing routes underneath it’ll be a long night for em. Look at the linebackers and safeties. Every one of em is peeking on the snap. They are committing both safeties to the run game and having them check. The play action game could be there, but the Sooners have to establish the run first. Look at the space to the receiver here after the safety gets caught peeking. 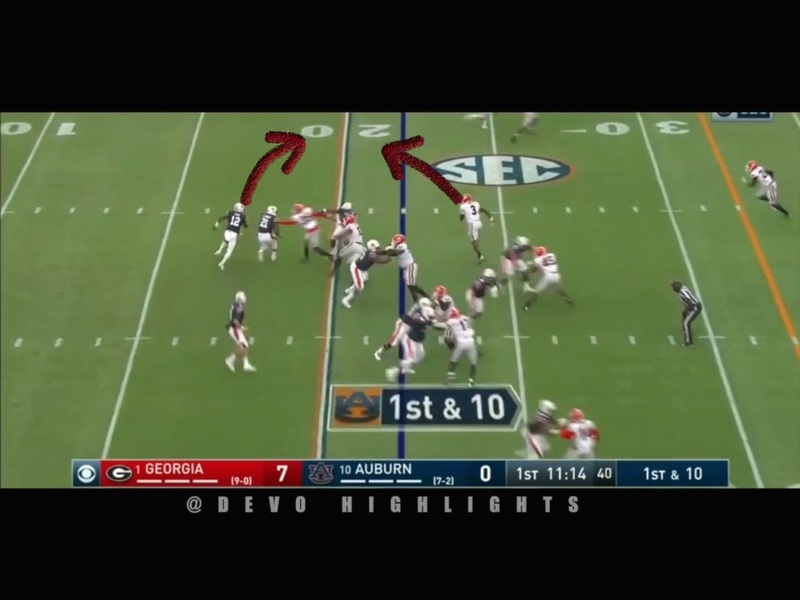 The blocking receiver didn’t do a good job, and Stidham didn’t have a lot of zip on the ball here, so the gain was minimal. 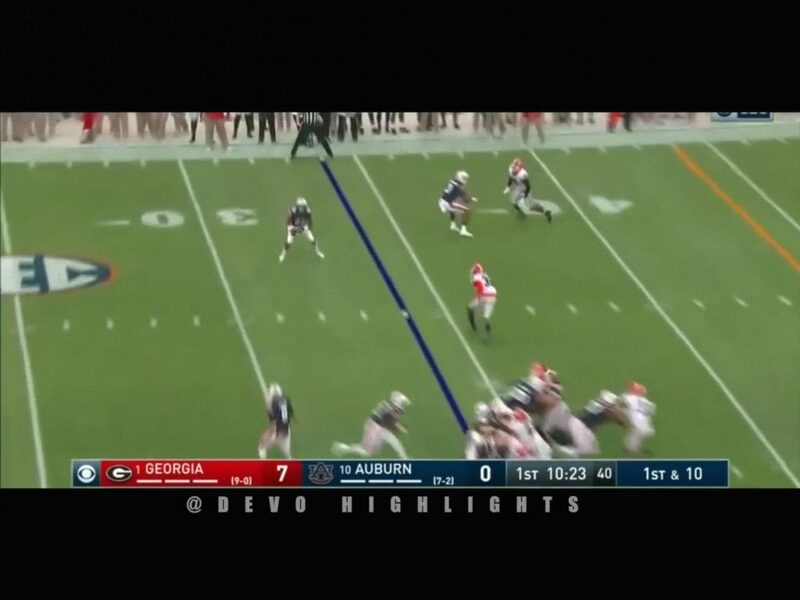 If Baker can be sharp, and the receivers do a good job blocking out there, our speed at receiver is better than Auburn’s.